Facilitation services are needed by organizations for numerous reasons. A facilitator can be used for meetings or group sessions where productivity and efficiency is required. Also, due to the subject matter of the meeting, an external facilitator may be more effective than an internal facilitator. An organization may need the services of a general facilitator that is conversant in standard facilitation methods, or the client may need a subject-matter facilitator that can give specific input and ideas related to the material being discussed. The Kerr Company has performed in both of these roles. 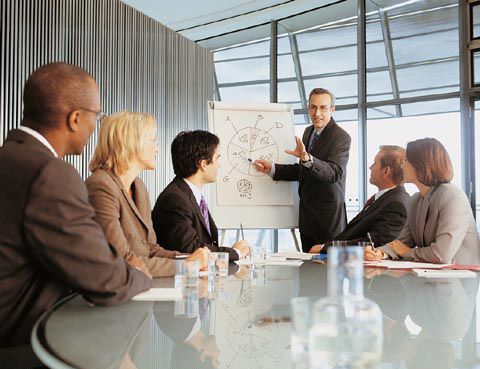 The Kerr Company has also facilitated different types of meetings and sessions. Two types (focus groups and JAD sessions) are described below. A focus group typically brings together a small group of individuals with a similar background to discuss a specific topic. Focus groups are valuable because real-time feedback can be gathered from target stakeholders. The Kerr Company has in-depth experience facilitating focus groups comprised of organization and external personnel. The purpose of a JAD session is to obtain requirements from client personnel/subject matter experts. Typically JAD sessions are used for systems development, but they can be used for other meetings as well, e.g., process reengineering sessions. As part of a system development effort, effective JAD sessions bring together system user staff (typically from the business units) and systems development staff (e.g., programmers and IT project managers). The JAD session facilitator works with the group to translate user and business needs into system and design requirements.